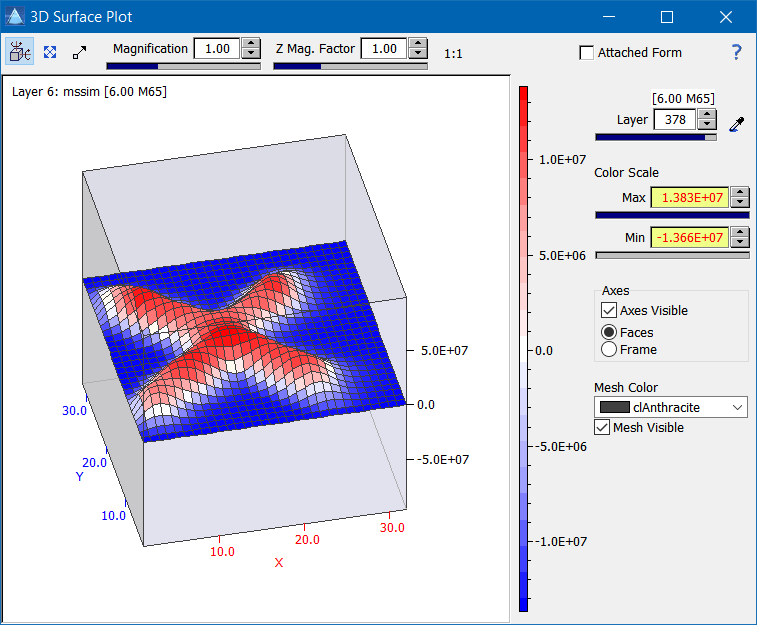 The feature "3D surface plot" provides a simple means to visualize the data of individual layers by constructing a rotatable surface plot. This plot can be especially useful to visualize the often hardly recognizable differences in intensity within a layer, because color encoded 2D maps exhibit only a limited dynamic range. Hint: Please note that automatic resampling occurs for large images. The threshold above which resampling is performed can be set in the program preferences.